This 1969 RS SS 396 Camaro is equipped with a Rolling Thunderz 427 cid Big Block Chevrolet street & strip nitrous engine. This Heavy Weight Street Fighter is a daily driver that can go cruising and bruising at the same time with an all iron 427 Big Block that runs 12.0 ET's at 113 mph naturally aspirated and 10.4 second elapsed times at 129 mph with nitrous oxide injection. 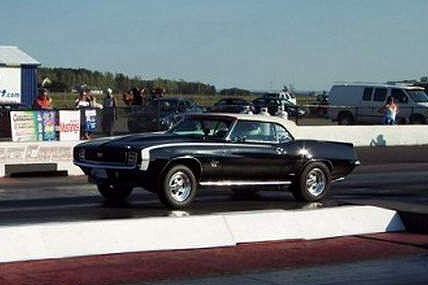 This 1969 RS SS Convertible Camaro can run low 10 second ET's in a quarter mile drag race.